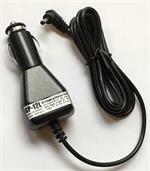 BP-173xe : 9.6 volt 800mAh rechargeable Hi-Watt battery for ICOM radios. Arrives to you PRE-CHARGED & READY TO USE. Replaces ICOM BP-173. The BP-173xe is made with eneloop Ni-MH cells, so they RETAIN THEIR CHARGE WHEN NOT IN USE ! 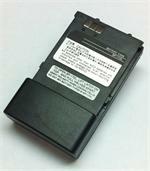 Fits ICOM radios such as IC-T7A, IC-T7H, IC-W32A, IC-W32E, IC-W31A, IC-W31E, IC-Z1A, IC-T22A, IC-T22E, IC-T42A, IC-T42E, etc (worldwide versions). Re-charges thru the radio (18 hrs), or re-charges in desktop charger (such as the EMS-173 or EMS-173-180).